Groups that are pushing for an end to the state’s renewable energy standards are continuing their efforts in the Republican Party primary on Aug. 5. The political action committee of the Kansas Chamber of Commerce, the state’s leading business lobbying group, has helped recruit candidates to run against GOP members who voted against repealing a state law that requires utilities to generate a specific amount of energy from renewable sources. “Our agenda includes a lot of items, but that is one,” said Christie Kriegshauser, vice president of political affairs for the chamber. One of those Republican incumbents feeling the sting from the Kansas Chamber is state Rep. Russ Jennings, R-Lakin. 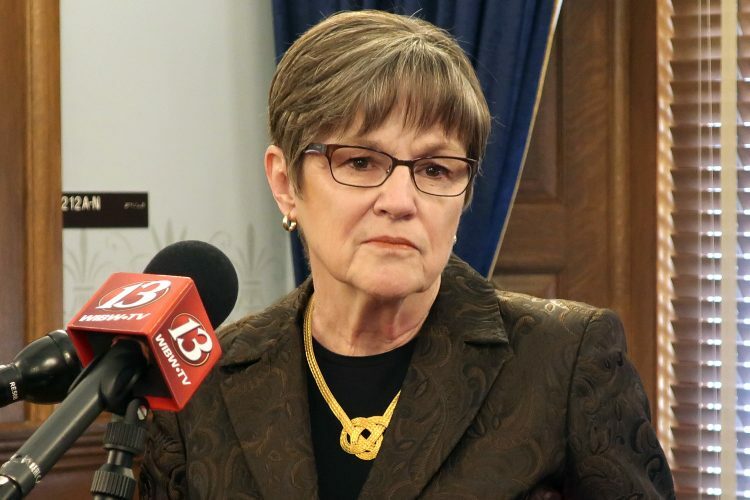 Jennings voted against repeal of the standards, which require utilities to produce 20 percent of their electricity with renewable energy by 2020. The Kansas Chamber, Americans For Prosperity and the American Legislative Exchange Council say the renewable energy standard interferes with the free market and gives wind energy an unfair advantage. AFP, an anti-tax small government group, blanketed the state with TV ads linking the renewable energy standards to former Kansas Gov. Kathleen Sebelius and President Barack Obama. But Jennings said he voted to keep the standards in place because wind energy has been a boon to the Kansas economy. 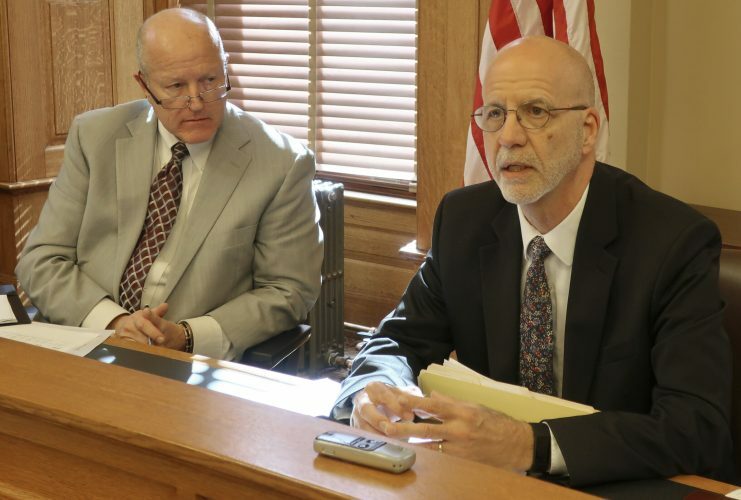 “My position is that those standards in Kansas have helped unleash an industry within our state that previously didn’t exist: wind generation,” said Jennings, an attorney and former judge. “Since we are such a prime location for this, it would not be prudent to roll our standards back. I think we are positioned at this point to be a significant electric exporter of wind,” he said. His opponent in the 122nd House District race is Stan Rice, also of Lakin, and director of government affairs for Pioneer Communication. Rice has received the endorsement of the Kansas Chamber’s PAC. Kriegshauser said the Kansas Chamber had been speaking with Rice “quite a bit.” She summed up the Chamber’s philosophy as limited government, pro-business and pro-growth. When contacted by the Journal-World for this story, Rice requested that questions be emailed to him. He did not respond to the email after several days. In Lawrence, state Rep. Tom Sloan, a Republican, drew a GOP opponent who also gained the Chamber’s endorsement. Sloan said his votes against the repeal of renewable energy standards, and against income tax rate cuts, which the Chamber supported, were the reason. “The Chamber and AFP are interested in doing away with the renewable portfolio, but those of us who believe it benefits the state to have a mix of energy generation and helps rural areas will continue to support renewable energy,” Sloan said. His opponent Jeremy Ryan Pierce could not be reached for comment. 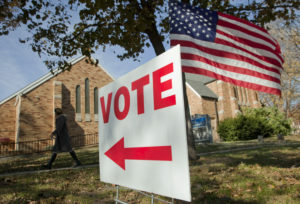 In southeast Kansas, state Rep. Kent Thompson, R-Iola, also drew a Republican challenger. Thompson voted against repealing the renewable energy standards. “I had some strong local support that thought I should vote a particular way on that issue and then I lost that support,” Thompson said. But Thompson said he voted against repeal because he has two cement plants in his district that benefit from the construction and installation of wind turbines. “Every wind mill takes about 90 cubic yards to provide a base. That’s basically a small- to medium-sized runway,” he said. His opponent, Chad VanHouden of Chanute, who has been endorsed by the Kansas Chamber, said he was too busy to speak on the phone when contacted by the Journal-World. He did not respond to questions emailed to him. State Rep. Don Hineman, of Dighton, was another Republican who voted against repealing the renewable energy standards. After his vote, mailers appeared in his district saying that the renewable standards were responsible for numerous rate hikes that were hurting senior citizens. The cards came from a newly formed organization called the Kansas Senior Consumer Alliance. The group’s lobbyist is Alan Cobb, who used to be the state director of the AFP, and the return address on the card was the Iola home address of Virginia Crossland-Macha, who has long been involved with AFP and is the sister of Ivan Crossland, the current board chairman of the Kansas Chamber. But Hineman drew no opposition in the primary and he said that surprised him. 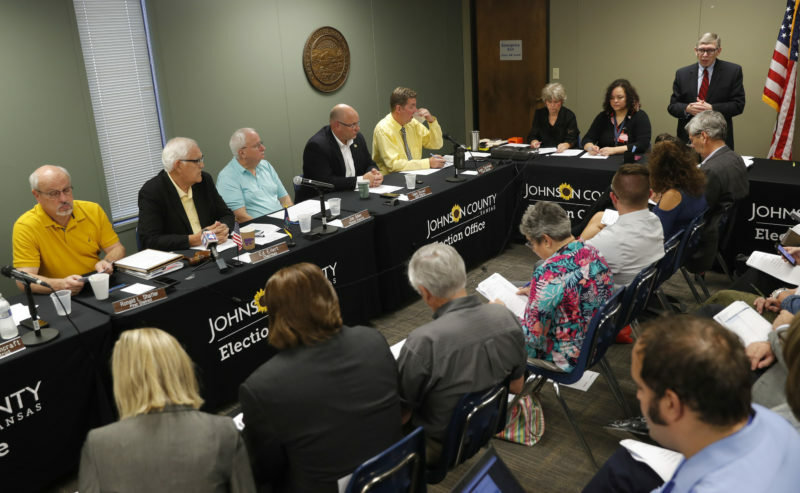 The chamber’s Kriegshauser said the group is happy with the candidate field, but said the long hours and low pay of Kansas legislators make it unattractive for many potential candidates. 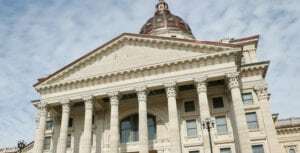 But Hineman said as he travels around his district he senses a different political mood than in 2012 when the Kansas Chamber helped recruit a number of Republican Senate candidates who defeated Republican incumbents in the primary to put conservatives in charge of the state Senate. “Maybe the ultra right-wing of the party is not as active or effective as it was two years ago, but that might be wishful thinking on my own part,” he said.